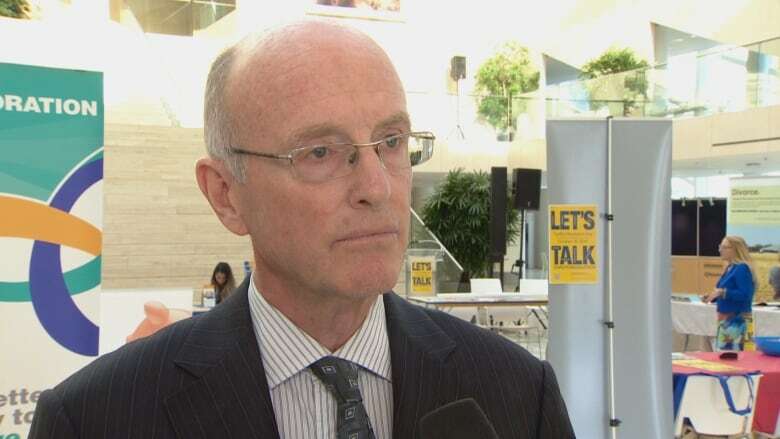 A high-ranking officer with the Edmonton Police Service has accused outgoing Chief Rod Knecht of making "false and misleading" statements about whether he cancelled a reception for the city's LGBTQ community, CBC News has learned. The accusation, filed with the police commission in mid-September, once again raises questions about the police service's troubled relationship with the LGBTQ community. In a letter sent to the Edmonton Police Commission last month, Supt. Brad Doucette accuses Knecht of making "false and misleading" statements at an August meeting with the EPS sexual and gender minority community liaison committee. Doucette notes that the main objective of the Aug. 16 meeting "was to build trust and understanding with the community." At one point during that meeting, a committee member characterized the cancellation of a pride reception once hosted by the chief as "very destructive" to the relationship between EPS and the community. Doucette, who attended the meeting, said Knecht replied that he was "never consulted" and did not know why the reception had been cancelled in 2013. "You said that [the reception] was too expensive and that if you did it for our community that you would have to do it for all," the committee member said at the meeting. Knecht told the committee member he had not seen the minutes of the February 2013 chief's committee meeting, at which the cancellation of the reception was discussed, and insisted he "never cancelled anything." The chief's pride reception was initiated in 2010 by Knecht's predecessor, Mike Boyd. Knecht replaced him as police chief in June 2011 and hosted pride receptions that year and again in 2012. Doucette said he attended all three pride receptions. In early 2013, he said, he was told there would be no more receptions, "as the chief had cancelled them due to cost and wanting to be consistent with all the community liaison committees." In his letter to the commission, the superintendent said he obtained a record of decisions made on Feb. 20, 2013, by the chief's committee which clearly indicates that "the chief's gay pride parade reception will be discontinued." Doucette was not at that meeting in 2013, but told the police commission he had spoken with two EPS members who were there who said the discussion and decision to cancel the reception "was introduced and led by chief Knecht." 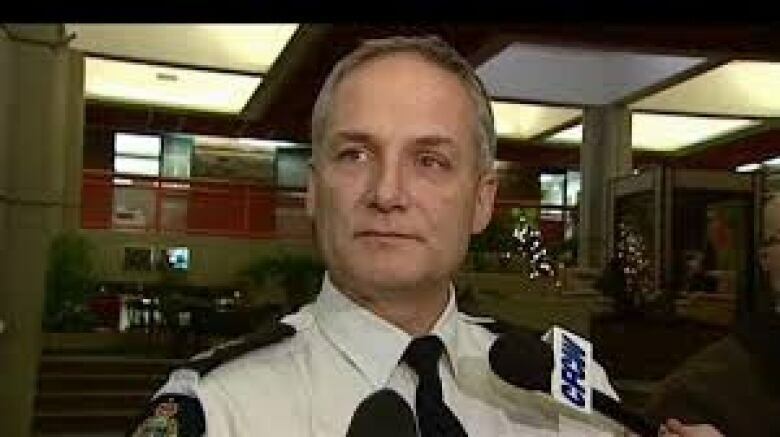 CBC News spoke to Knecht privately during a police commission meeting break to ask him about the complaint Doucette has filed against him. "I guess I find the timing curious," said Knecht, whose official retirement date is Oct. 31. "Because I am going out the door. But I did send a response to the commission and I found the allegation to be vexatious. "So I don't think there's any credence to the allegation. I don't think there's any substance to the allegation. And I'm a little disappointed actually about the allegation. "I think if there was an issue, it should have been brought up sooner." It will now be up to the police commission to decide whether the complaint warrants a full investigation, which could lead to a formal disciplinary charge of deceit against Knecht. Knecht said on Thursday he only has five more shifts as police chief. Police commission chair Tim O'Brien said Thursday it would be a week to 10 days before members can make a decision about whether or not to request an investigation. "We're in the process of gathering all the information from the complainant and from the chief," O'Brien said. "And once we have all that information, we'll be in a position to sit down and sort through it and chart out our next steps." O'Brien admitted it's possible the commission won't make a decision until after the chief has retired. Regardless of the timing, Knecht is convinced that no investigation will be ordered. "I'm not concerned about that at all," he said. "Absolutely not. I just don't think there's any credence to it, quite frankly." 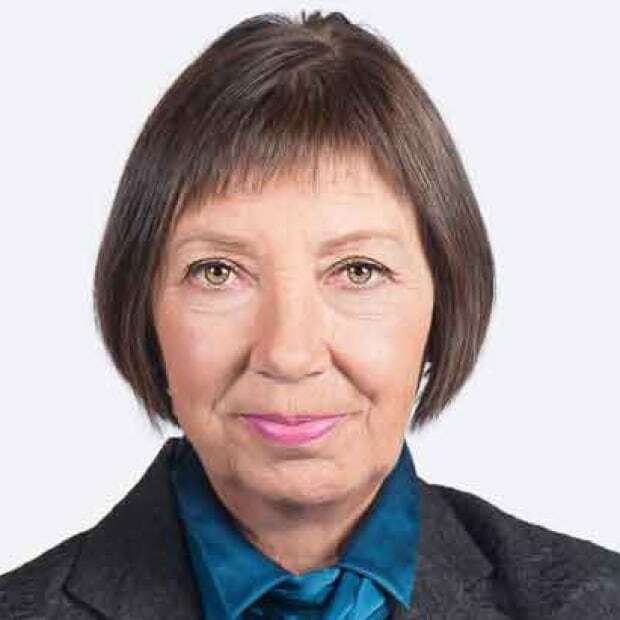 Marni Panas, a member of the EPS sexual and gender minority community liaison committee, said she attended the August meeting that led to Doucette's complaint. Panas said she was disillusioned by the chief's conduct at the meeting. "Unfortunately, I left that meeting feeling anything but heard," Panas said. "In fact, in many ways, I felt that a lot of our concerns and comments were either dismissed or often approached with a sense of defensiveness." The committee met with the chief, Panas said, hoping to explain why they want a formal apology from the police about past treatment. "It occurred to me fairly quickly that he wasn't the right person to apologize," she said. Panas said she hopes Knecht's replacement will be different. Police commission member and city councillor Sarah Hamilton agreed. "Unequivocally there's work that needs to be done with the LGBTQ community," Hamilton said. "The new chief would be wise to look at some of this internal and external documentation and address it … head on." Doucette did not respond to a request for comment from CBC News.